Iranian Foreign Minister Mohammad Javad Zarif’s weeklong visit to New York to defend Iran’s nuclear and regional policies has drawn protests from an Iranian American group. 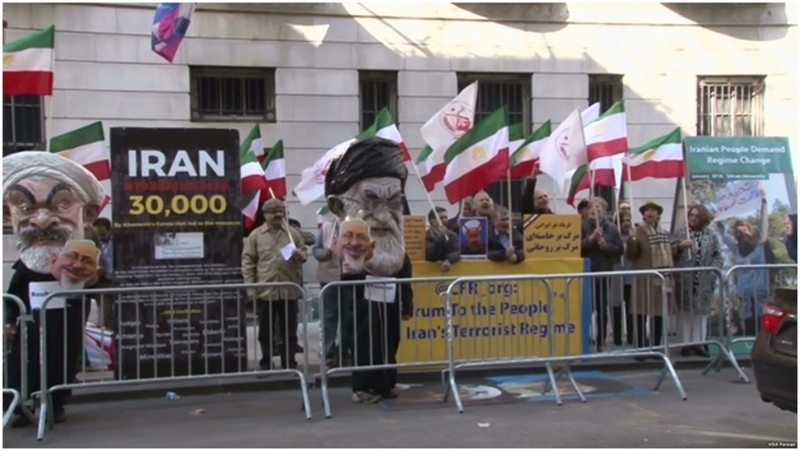 Several dozen supporters of the Organization of Iranian American Communities (OIAC) joined a demonstration Monday across the street from New York’s Council on Foreign Relations (CFR) as it hosted a discussion with Zarif on the 2015 Iran nuclear deal and U.S.-Iran relations. 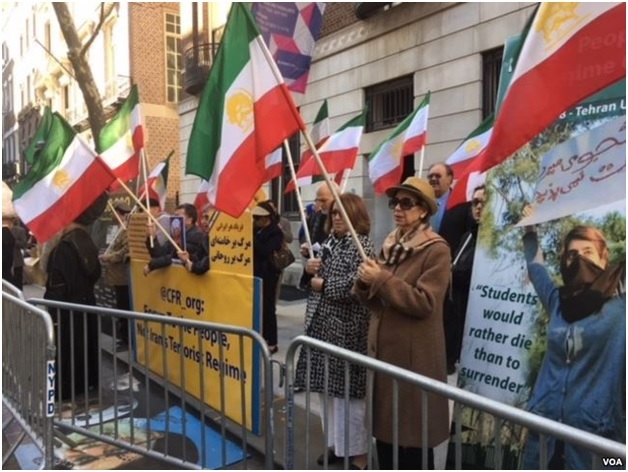 Supporters of the Organization of Iranian American Communities (OIAC) protest Iranian Foreign Minister Mohammad Javad Zarif’s appearance at the Council on Foreign Relations in New York, April 23, 2018. The demonstrators had hoped to confront Zarif, but the diplomat entered and departed through a back entrance to the venue. Zarif has spoken at CFR, an independent foreign policy research group, several times in recent years. In an interview with the Associated Press published Tuesday, Zarif said that if U.S. President Donald Trump withdraws from the nuclear deal, Iran “most likely” would abandon it as well. Trump has threatened to withdraw from the deal by May 12 if European powers do not accept changes to make it tougher on Iran. During his CFR talk, Zarif accused the U.S. Treasury Department’s Office of Foreign Assets Control (OFAC) of violating the nuclear agreement by refusing to license any U.S. transactions with Iran in the past 16 months. He said Iran’s lack of economic dividends from the nuclear deal has caused resentment within the population. Under the deal, the U.S. Treasury Department continued to broadly prohibit Americans from engaging in dealings involving Iran with the exception of a few specific categories of transactions. Shirin Nariman, the organizer of Monday’s protest, told VOA Persian that her group objected to Zarif’s invitation to speak at CFR. “The people of Iran have spoken [through anti-government street protests] in the last few months and showed that they don’t want this regime at all — not even a part of it,” Nariman said. 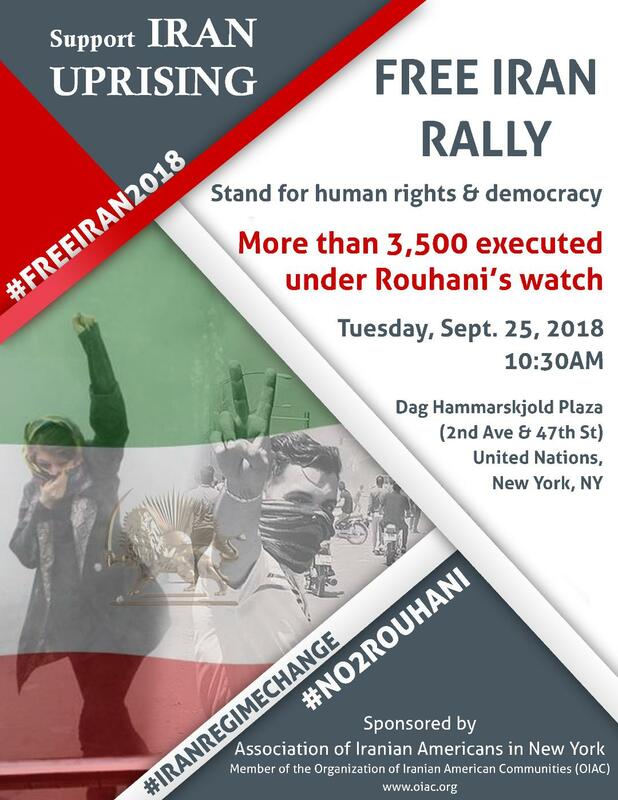 Demonstrators at Monday’s rally chanted, “Death to [Iranian Supreme Leader Ali] Khamenei” and “Death to [Iranian President Hassan] Rouhani,” echoing similar chants heard during nationwide anti-government protests in Iran from late December to early January. Zarif has made several media and public appearances since arriving in New York last Thursday. He also is participating in an April 24-25 U.N. meeting on peace-building and sustaining peace. 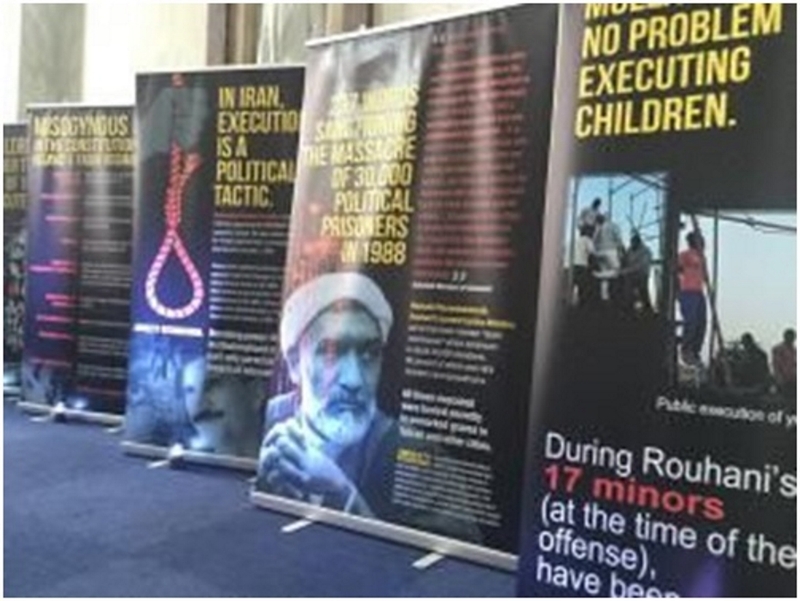 OIAC is allied to exiled Iranian dissident movement Mujahedin-e Khalq (MEK), which leads the France-based National Council of Resistance of Iran (NCRI) and advocates the “overthrow” of “religious dictatorship” in Iran.